Globular cluster is a spherical collection of stars that orbits a galaxy as a satellite. 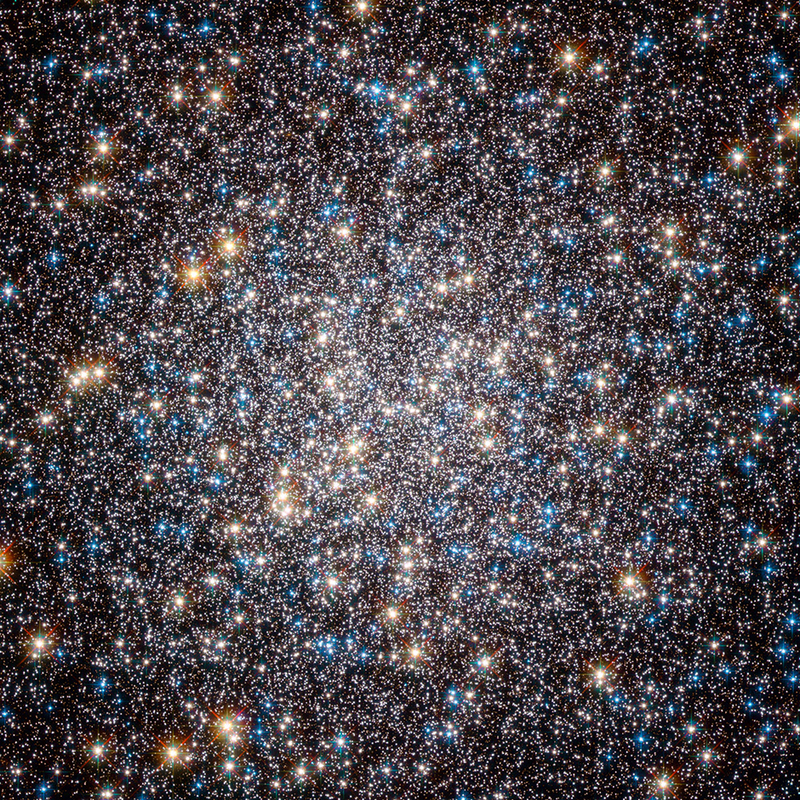 Globular clusters are very closely held by gravity, which gives them their spherical dense structures. Globular clusters are sometimes called with a shorter name, globulars. There are over 150 globular clusters in our home galaxy. Andromeda galaxy may have as much as 500 of them. Some giant elliptical galaxies, such as M87, may contain as many as 13,000 globular clusters. These clusters orbit their galaxies at a distance of up to 131,000 light-years. Almost every galaxy surveyed contain a system of globular clusters.